A thousand of people live on the street in Barcelona. With the arrival of the cold weather, the City Council opens 75 places until March and intends to open 325 more places at some special days, when the temperature is below 0ºC. The measure still sticks to the thermometer and doesn’t give answer to most homeless people. If these cold days you see someone living on the street in Barcelona, you can orientate them towards a short-stay centre at c/ Llacuna, 25, where 75 night places were just opened to homeless people. This resource will work until mid March and the person can go directly and, if there is a place, he can stay there for 30 days. The measure is put into place every year from the municipal council when winter months are coming and it is complemented with more emergency places that are opened during two or three days when the temperature is below 0ºC. This year, 325 places are intended to be opened and will be distributed in different equipment, especially in the Sant Martí and Sarrià-Sant Gervasi districts. For the City Council, it is about the cold operation “wider in the path of municipal social services”. From Arrels, we value the effort but we consider this measure as insufficient and that the focus is wrong because the answer should not be based on the thermometer nor in extreme situations. Currently, a thousand of people live on the street in Barcelona and the 2,130 places that exist at public and private resources are already used by other homeless people. 75 winter places that just opened will give answer to 8% of the people who sleep on the street until March. But what will happen with the rest of homeless people? The opening of 325 places the days of extreme cold means a step forward regarding previous years because there will be more places available and in different places of the city. It continues leaving outside 60% of homeless people and it is activated only for two or three days depending on the temperature. And what if these resources that are opened with a temporary goal turned into permanent goals? 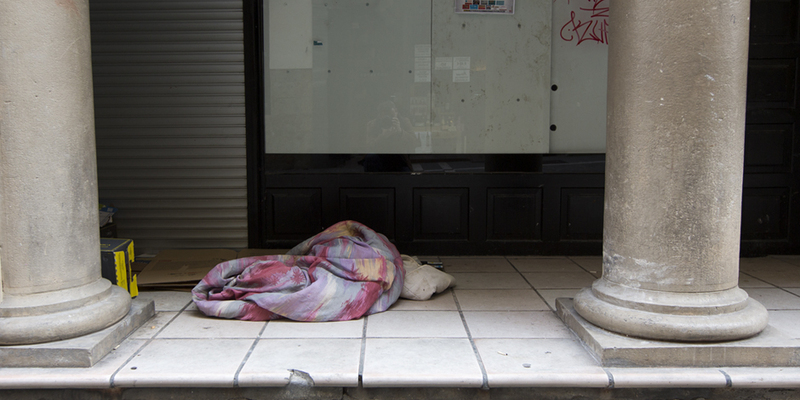 Someone who sleeps on the street is exposed to many risks: assaults, rain, heat, cold… Having to live on the street affects the health status and shortens to 20 years the life time. That’s why answers are needed to give stability to the person and to go beyond urgency activation plans. The fact of having to look at the temperature to know if the resources for homeless people are available or not also means to promote a kind of unstable housing and more instability for the person. The cold operation gives temporary and limited answer to a thousand people that sleep on the street in Barcelona throughout the year and, to which, we should not be used to. A comprehensive perspective is needed that offer other long-term alternatives and that has as a starting point the affordable housing. To open night and small places at any point of the city so the person doesn’t have to move a lot and can have access to a place that offers more than safety. These spaces should have flexible rules, be empowered so the person can access with all his belongings and companion animals and open throughout the year. To enable more daytime spaces where people can rest and shelter themselves with useful services -such as showers and cloakrooms- located at every neighbourhood. To give an immediate answer to people who start living on the street to avoid make chronic their situation, as well as improving the prevention so anyone doesn’t lose their home. To strengthen the collaboration between local administration and social entities to give an efficient answer to the person. This network work should be also done in the Catalan field and involving councillors and guard units in charge of social services but also in housing policies, immigration, etc. To invite someone who sleeps on the street to any Catalan district to come to Barcelona is not the solutions and compounds the situation of the person. Anyone should be able to be assisted at their district. Final housing measures are necessary to guarantee safety and stability to the person. Regardless if it is hot or cold, everyone should be able to live in a worthy housing, adapted to their needs and their incomes. Municipal, autonomic and state-wide housing policies should bear in mind the reality of homeless people. Practical information if you see someone living on the street (throughout winter or throughout the year). Information of the City Council of Barcelona about the activation of the cold operation.